Once again there's a great mixture of snacks, food, supplements, drinks and even body care. I'm slowly but surely getting there with my vegan lifestyle and this box does help tremendously. Sometimes you just don't think something's you can still eat or just never think of and the box comes and I'm reminded or intrigued, plus I've found not only do I benefit but others around me do too. Coconut Sugar, you may have noticed I've mentioned I adore the scent of coconut, I can have it in food but I can't drink the water or just eat pieces of coconut, I don't know, it's like tomatoes! Anyway me and my Grandma both thought this was a cool alternative, we tasted a piece of the sugar just by itself, my nan describes its as having a 'toffee' taste, so this will be our latest alternative, I don't do sugar at all, I haven't had sugar in months interested in Coconom Coonut Sugar you get 250g for £3.25 and it's available online. Me and my mum are going to put together a vegan basket for a friend of hers and I'm searching through all my previous The Vegan Kind posts looking for some websites to get some things to put in this basket. 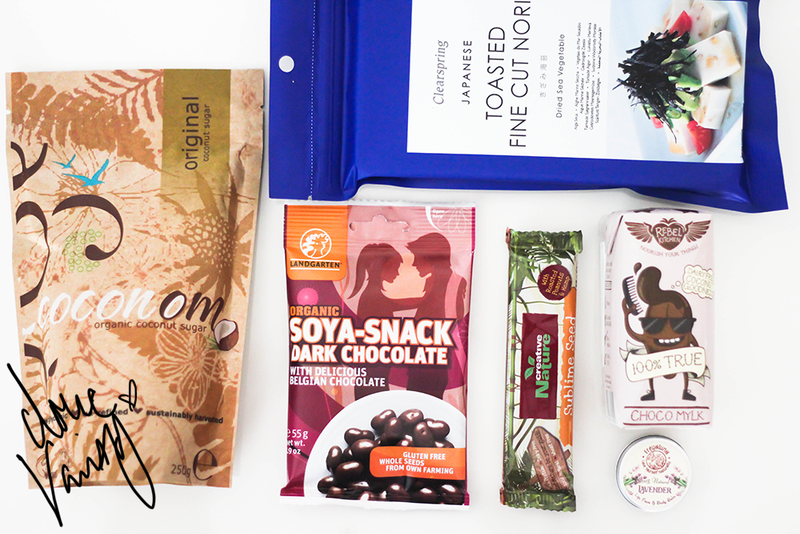 We decided to put the Landgarten Organic Dark Chocolate Soya Snacks & Creative Nature Sublime Seed Bar Seeing as most people enjoy treats as a filler. The other things in the box are Rebel Kitchen Choco Mylk 200ml £1, honestly I never was the child who enjoyed chocolate milk, so it doesn't honestly intrigue me. Besides my soya milk & now almond milk, I don't really do flavoured milk - it also comes in Banana & Orange Choc Mylk. Those on vegan, vegetarian or dairy-free diet this is ideal and there's no additives, preservatives - all healthy. Last but no means least, Freya Luna Lip and Body balm 10g £3.50, this handy multi-purpose tin, scented with lavender can be used of course as it states lips, face & body. As it contains lavender which helps promote new growth of skin cells, it's handy to have in your handbag for any unexpected skin mishaps, with this weather as unpredictable as me, it's handy to keep this for yo' dry lipzzzz! Also it's cool for healing of such skin mishaps such as burns, sunburn and issues such as eczema and psoriasis! So what are you waiting for? 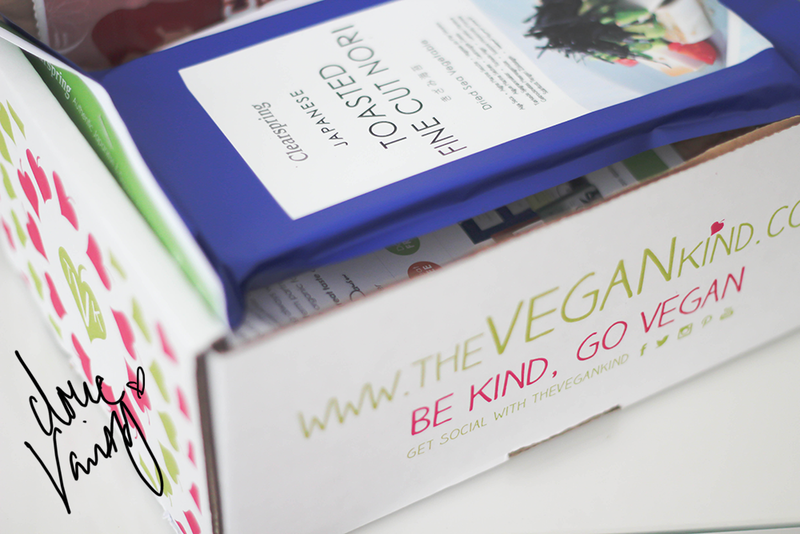 Order your The Vegan Kind box - try an alternative lifestyle.